We recently encountered some scary DIY wiring on an old home in one of our favorite historic neighborhoods. 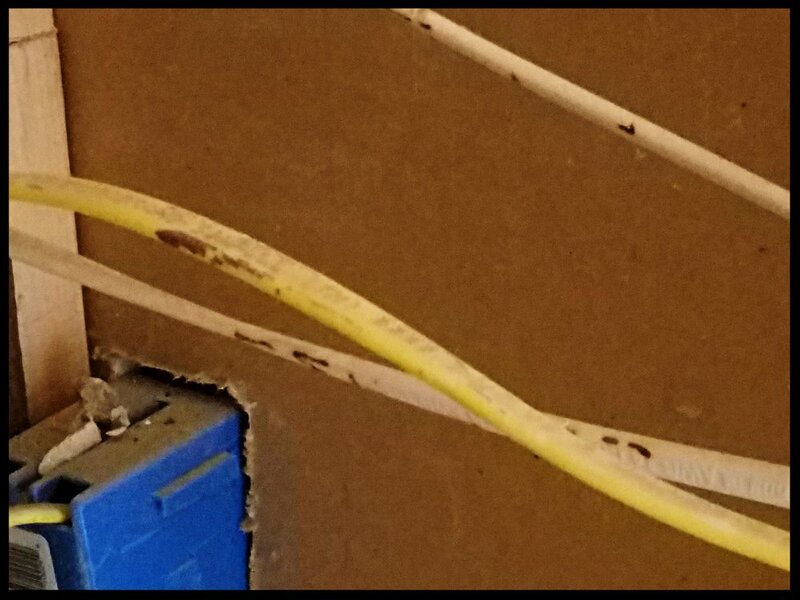 Wiring that's been installed incorrectly or is simply old and decaying poses a serious security risk to you, your home, your loved ones. And it's just one of the issues in older homes that needs to be addressed by a professional, whether you're looking to sell and downsize or age in place in your current home. But here's the thing: aging at home, or aging in place, does not mean you are bound to one home, forever, until the end of your days. You have loads of options. Old wiring that's hidden behind drywall is downright dangerous. Choosing to Age at Home (or Age in Place) doesn't necessarily translate to planting roots in one home, no matter what, till the end of your days. Instead, making the choice to Age at Home means you are quite likely to choose to downsize to a more manageable space -- one that's designed with your needs now and in the future in mind. Making that move affordable can mean building a tiny home, it can mean renovating your existing space so the first level is accessible and can be an entire living space for you (and your significant other, if applicable), or it can mean simply moving into a smaller house that's ripe and ready for Universal Design renovation. The bottom line is that you have a lot of options to determine what kind of living space is best suited to your financial and personal needs and goals, and Aging at Home does not mean you are bound forever to one large house that's too much for you to manage. Consider safety, for yourself and our loved ones, now and later, first. Regardless of what size home you choose, it's imperative that you communicate with certified professionals to ensure the home is safe and sound for you to live in. Consult with an expert in the construction field who's experienced with making homes aging-in-place ready (preferably CAPS certified). If you realize you're in a home that's just got too much work to make it right at this point in your life, reach out to us or someone else who's educated themselves on how best to serve the housing needs (and more) of the 55+ generation (Plan with Foresight is a great place to start). Ready to secure your independence? Call or email us today. Kevin or Heather will get in touch with you within 24 hours.